I haven’t written an entry for a long time. I have no real excuse – except I’ve been working on other projects. I feel very wistful and divided about the thought of selling the boat. On one hand I am sad to say goodbye to a craft whose internal life and necessities have determined the rhythms and paths of the past year – on the other hand, I feel worn down and tired at last. I long for a fridge, a shower, the very trappings of civilisation that I disdained to live this life. The dampness is so intrinsic to our sleeping berth that Gideon now has trouble breathing at night; pillows of moss grow up in the cracks of our windows; we have not pumped out our toilet for months and the economy of shits and wees now occurs to me as a inconvenience I would rather live without. Then there are the other concerns, CART and boat-dwellers are at constant logger-heads. Meetings are held, but privatisation threatens the very stretch of river that is most native and congenial to boaters in London – the majestic Lea. Can this fragile society upon London’s waterways last for long? Its very survival is imperilled by the capitalistic system which has identified it as a threat and an anomaly. There are places in Europe where counter-cultures can exist, and are protected by the people. This is the case in Berlin, but not in London. So that is my reluctant verdict: it will not last for long. Even now I feel the magic name Provence tugging at my heart and urging me away, to begin a new home, a new life, beside new, less familiar waters in the deep, lazy heat of the South of France. However, now I want to leave these sad and pensive meditations to one side. Let me tell a story. Two weeks ago Hawisia was moored by the Islington Tunnel on the Kings Cross side. For those who have never experienced it, a fifteen minute boat-ride through London’s longest tunnel is one of the most engrossing and exhilarating experiences that London’s inland water-ways have to offer. In this narrow, subterranean, shadowy conduit that flows beneath Upper Street, the old Victorian brickwork is thick with lichen and moss. Delicate streams of water trickle down the porous walls, which ooze and glitter beneath the pale light of boater’s navigation torches. Dickens himself would have delighted in the dark, mildewed underbelly of the Islington tunnel, especially as it represents a key structural position between west and east London. 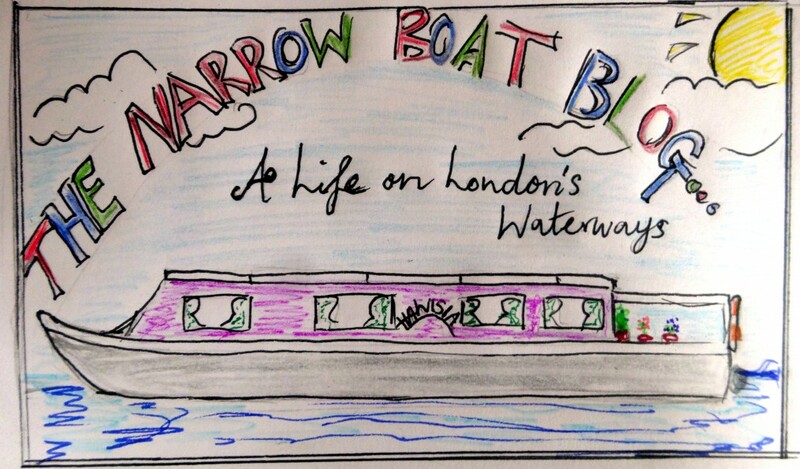 For the river-pilgrims and party seekers it is the emblem and gateway to East London, Hackney and the Lea. Our first crossing through the tunnel was the most memorable; as our excitement and trepidity were heightened and sharpened by a fear of the unknown. Tunnel etiquette for boaters is rather simple. You must have your headlight on to warn boaters on the other side of your approach and if you cannot see a boat on the approach, then you are clear to go. We later learnt that the tunnel was just wide enough to allow two narrow boats to pass each other side by side, if it should come to that, but we did not know it then, and with traffic on the waterways being what it is and given the length of the passage, we could not discount the possibility that we might meet another boat in the darkness. Adding to the drama of the crossing is the uncertain and deceptive nature of the light at the end of the tunnel itself. As it is so long and dark, the cynosure of light that you can see as you enter – that eventually becomes a round, golden coin and then a rotunda of colour – looks uncannily, at first, like an approaching headlight. On that memorable first occasion when we piloted into the darkness with a small crew of three (myself, Gideon and a friend from university Mike), we were convinced for at least 5 minutes that we were doomed to a collision, before we realised that we had become victim to the mirage of the tunnel and our own paranoia. But this was only one of the distempers of the mind that the tunnel can induce as you pass through it. Equidistant from Angel and King’s Cross, in the most drear and dim heart of the passage, a quiet and meditative mood descended upon all of us. I had heard before, in Russia, of hermits and religious recluses who seek the utter solitude and darkness of caves in which to think and meditate. There and then, in the Islington Tunnel, I could suddenly see why. It is not only that the tunnel’s peacefulness and quietude is conducive to thought and reflection, and at a deeper level that the darkness returns one, instinctively to thoughts of death; but that there is something in the visceral appreciation of the raw elements of time, darkness, linearity and motion which uncannily allows the mind, the thing that thinks, to see its own reflection. A tunnel is like a metaphor made real of the mind itself, and in its abyssal darkness, conscious momentarily glimpses the unconscious. But let us return to that summer’s day, many months later, when we had already bypassed the tunnel and were moored, happily on the King’s Cross side. Gideon and I were just preparing to go out, when we suddenly stopped on the stern, arrested by the alarming sight of clouds of thunderous smoke pouring out of the mouth of the tunnel. A few minutes later a craft emerged, a narrow boat, with two noticeably harried owners running alongside the gunnels in a race to moor up. A few minutes later, when the tunnel has disgorged its contents of smoke, another craft churned out – one of the boats carrying tourists and sight-seers. A large party of boisterous men were gathered in the fore-deck around a large table drinking larger and jeering at passers-by. I wondered what had happened in the Islington Tunnel to cause such an emission of smoke. A few minutes later we were to find out, as the first boat, seeking a semi-temporary mooring, roped up alongside Hawisia. Her owners were a full-bodied Englishman with a very friendly manner and steaks of grey in his tousled black hair, and a wild-looking woman with skin tanned naturally to the colour of hide, long tresses of blonde hair and a thick cockney accent. Their story perfectly illustrates the danger that tunnel can still pose, even to very experienced boaters. They explained that they started the long journey through the tunnel on a boat they both knew well. They noticed a few minutes later that another boat – the tourist boat – was following quick on their heels and rapidly catching up with them. Unwilling to hold up the line of traffic building behind them, the man decided to rev up the engine, pushing the boat to exert her maximum speed, against his will and better judgement. Five minutes later the exhausted engine, unused to the pressure put upon it, gave up and started pouring out large quantities of smoke from the exhaust. Deep in the tunnel the smoke had no-where to go, but swirled about the heads of those in the tourist boat behind them. Being too narrow for the tourist boat to pass them and give them a tow, the unlucky couple had no choice but to manually push their boat through the tunnel using only their hands clawing against the slimy, ancient walls. After a Herculean effort and many minutes later, they had managed it, but were understandably a little shaken up. Mixed with my admiration for this extraordinary effort, was my sense of how the couple had that day garnered the kind of intimate understanding and close knowledge of that tunnel, that few could claim. The image of their soft pink hands pressing against the sea-weed green walls of the austere black tunnel, was to occur to me many times afterwards – long after they had left Hawisia, fixed their engine and softly chugged off to continue their journey west.